Undefeated’s Air Jordan 4 design of 2005, long regarded as one of the greatest collaborations in history, has re-appeared in updated form. 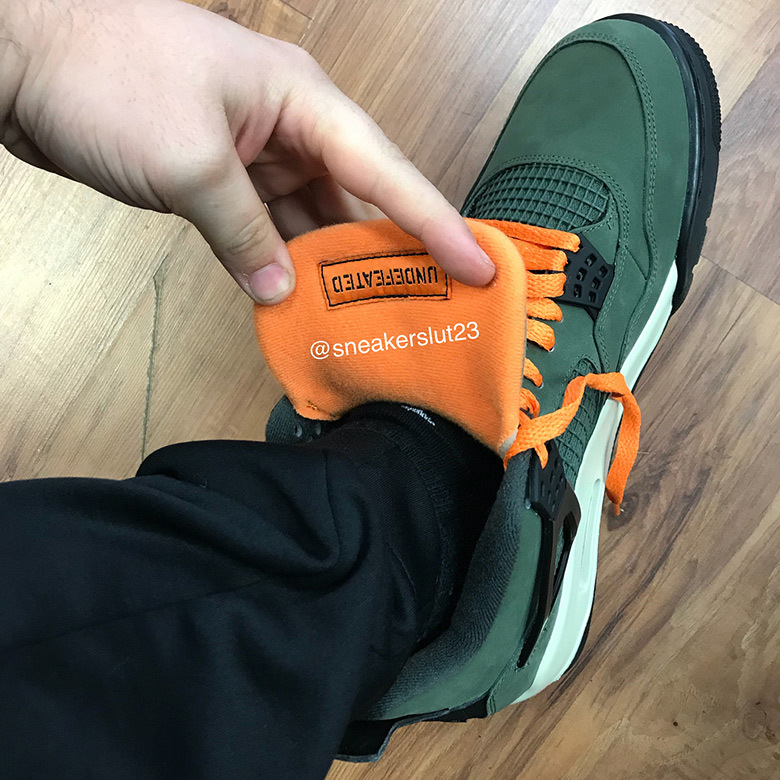 This first look at the current sample reveals the same flight-jacket themed colors of olive green orange, and black with the removable Jumpman patch on the tongue. 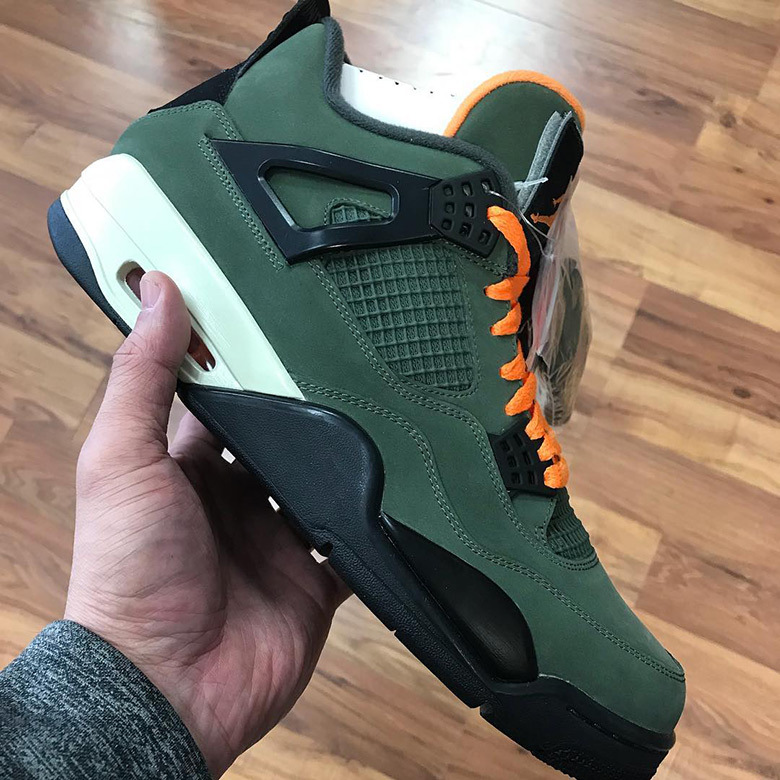 According to @sneakerslut23 these don’t appear to be releasing, but if the shoes are were ever to come back out again, it’s possible that the brand could employ some sort of online auction for charity similarly to the upcoming re-release of the Eminem x Air Jordan 4 “Encore”. 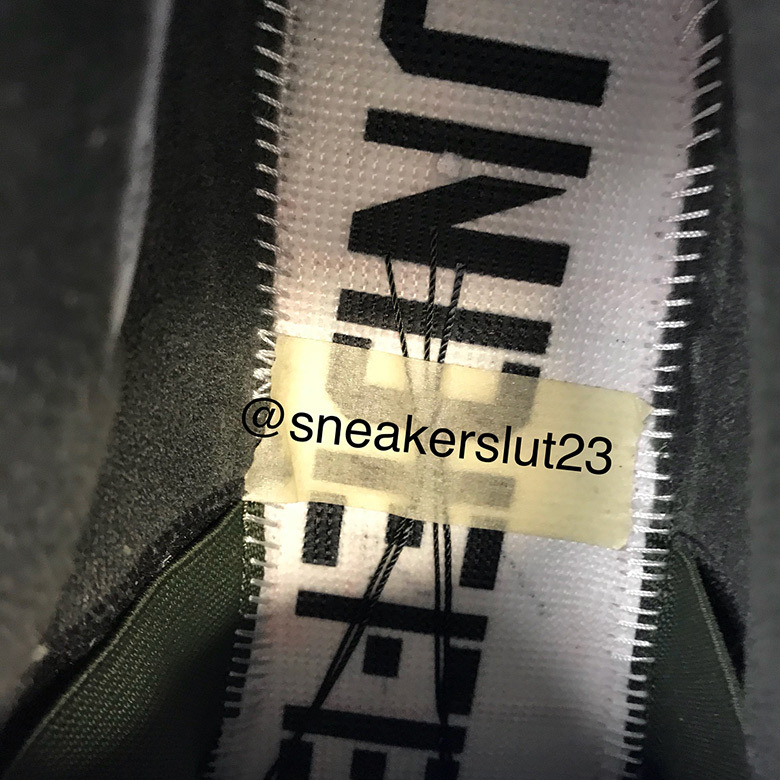 Check out the full image here and stay tuned for updates on this updated sample of the UNDEFEATED x Air Jordan 4.